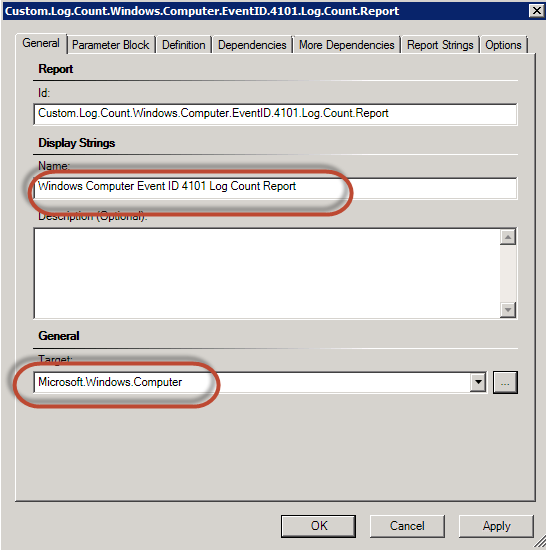 The support team need to count number of Application event log entries of events with a specific event ID. 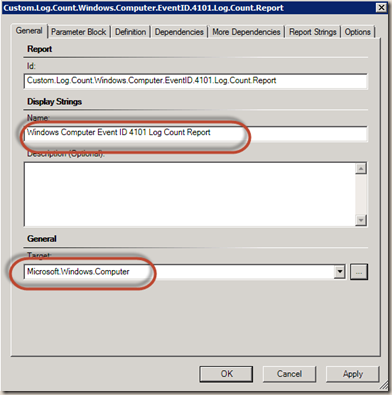 A daily report is required to list the number for each computer. 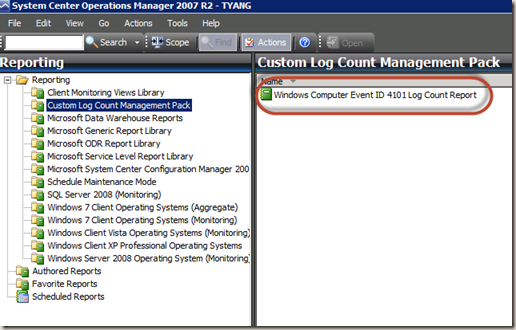 An application produces a log file each day. 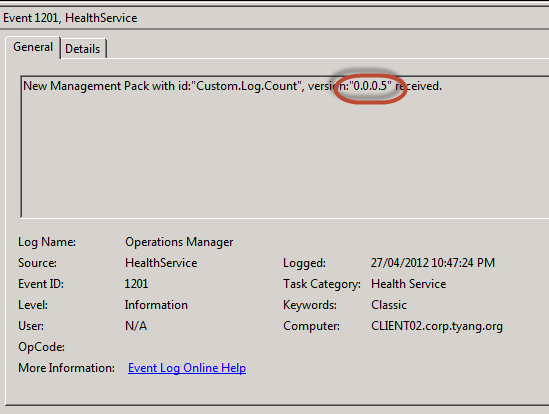 The support team need to count the number of a specific phrase appeared in previous day’s log file. 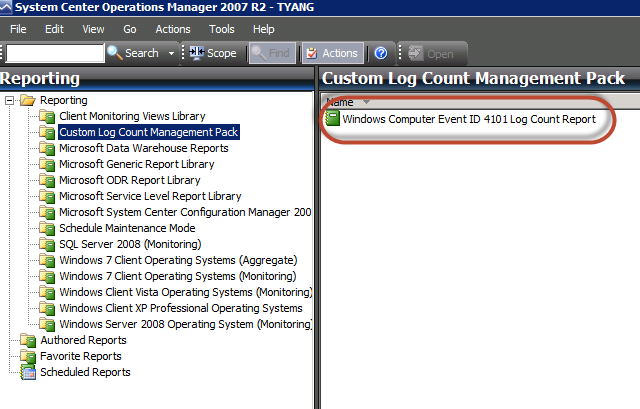 A daily report is required to list the count number for each computer. The solution I produced for both scenarios are very similar. 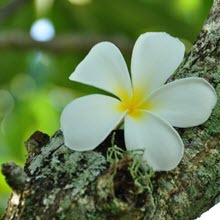 so I thought I’d blog this one. 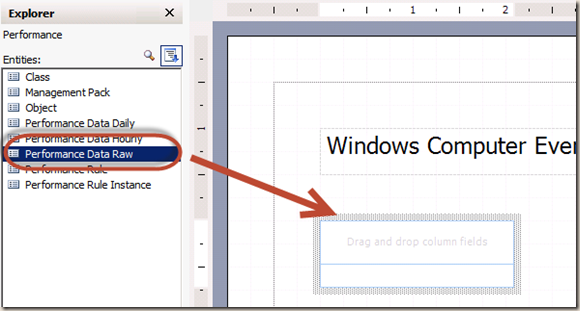 Create a rule in the SCOM management pack to run once a day. 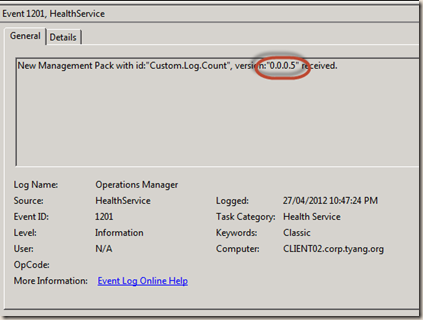 map the count number to performance data and save it in the SCOM operational and data warehouse DB. 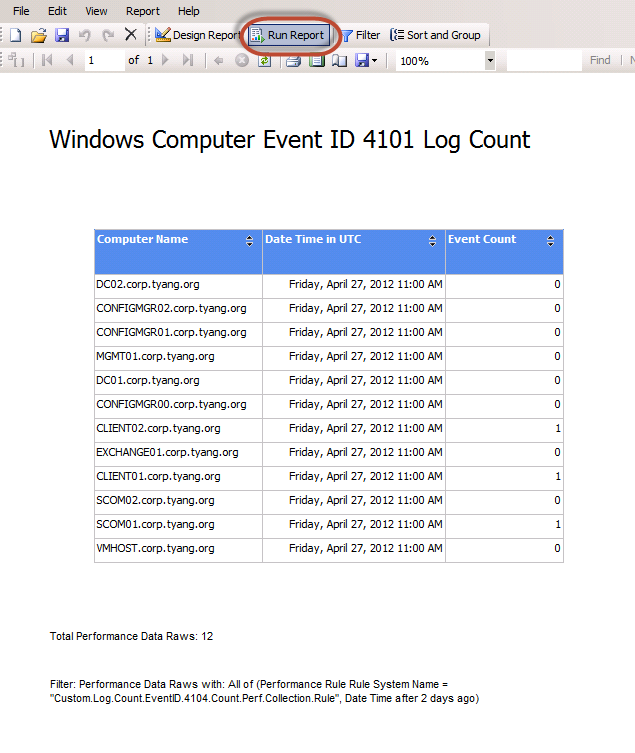 schedule the report to run and to be emailed out once a day, AFTER the rule has run for the day. 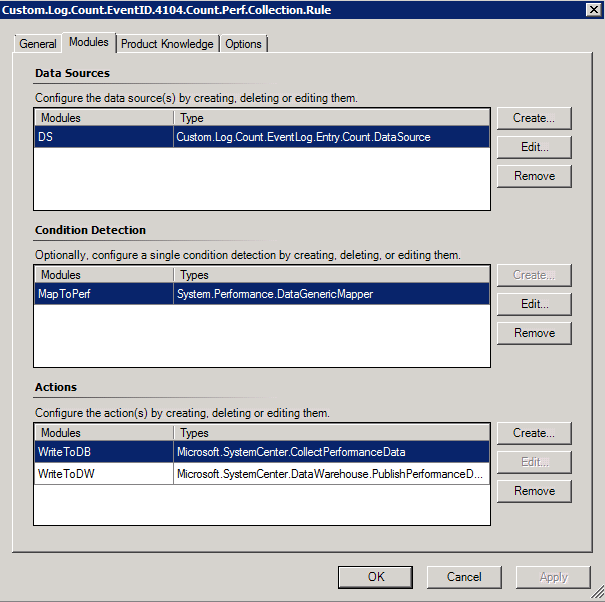 In this blog post, I’m not going to go through the steps of creating the custom data source module and the performance collection rule. They are pretty straightforward and the sample management pack can be downloaded HERE. I will however go through the steps to create the custom report for the data collected by this rule. 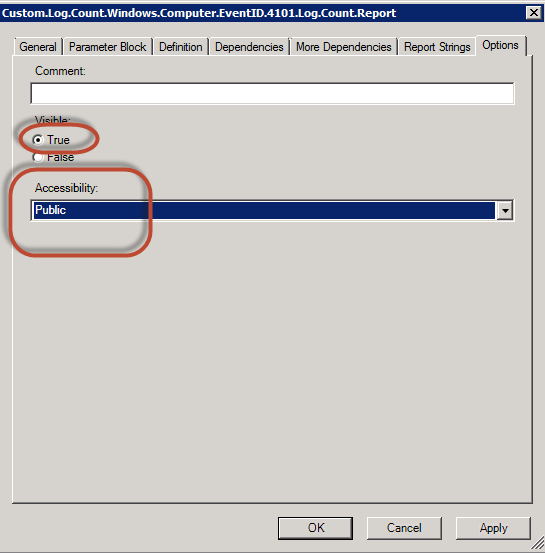 I’m creating the report rather than using the built-in performance reports from the “Microsoft Generic Report Library” because none of the built-in performance reports support a table format. I don’t want any fancy charts with the report. 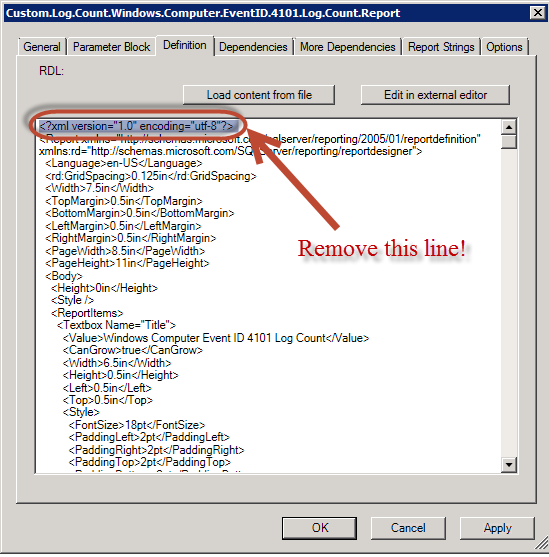 All I want is a simple list of the raw perf counter values. 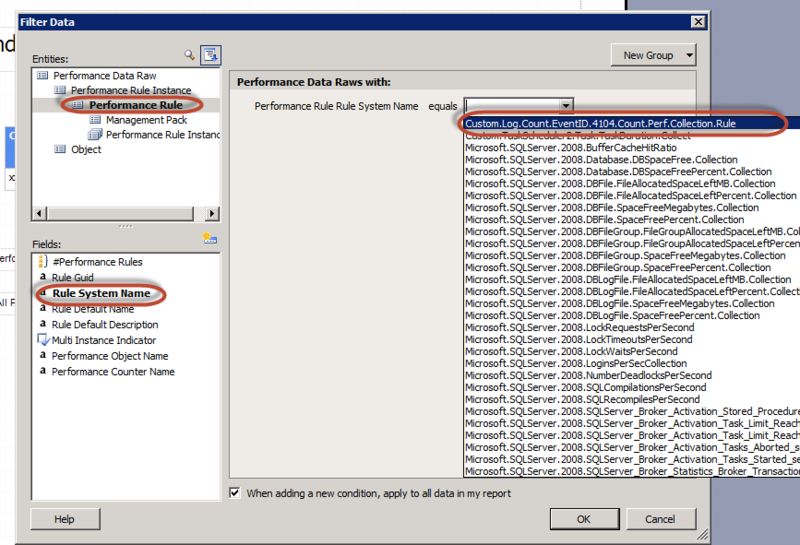 Now, let’s briefly go through the data source module and the performance collection rule. $oAPI = New-Object -ComObject "MOM.ScriptAPI"
Actions: Write performance data to Operational and DW databases. 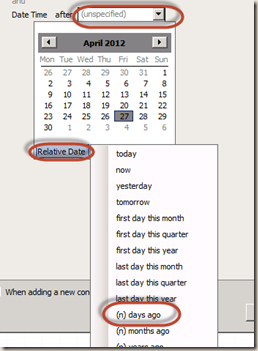 Please Note that in above article, it uses Event model as example. 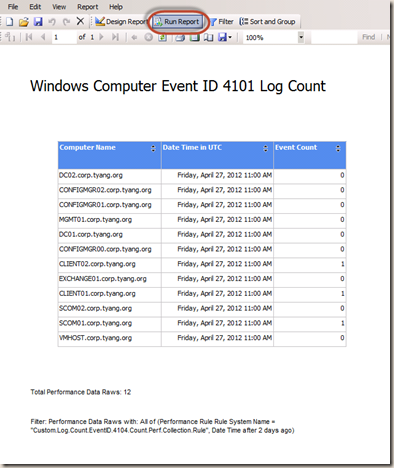 The report I’m going to create uses Performance model. 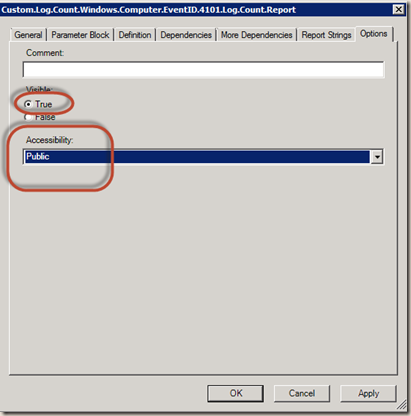 so please make sure Performance.smdl is uploaded into SCOM Reporting SSRS and configured to use the “Data Warehouse Main” data source. 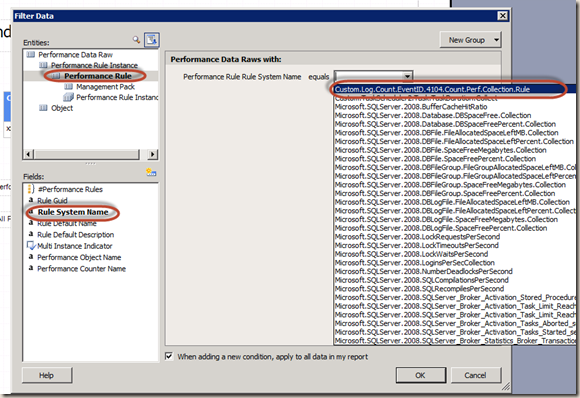 Import the half finished management pack (with the data source module and the perf collection rule) into a SCOM management group (preferably your development environment). 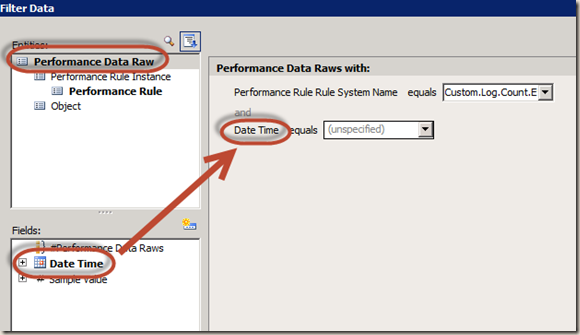 Create an override or simply change the schedule of the rule to run ASAP so the perf data is collected. this is very useful when testing the report later on. 17. If you want to make the report prettier (i.e. 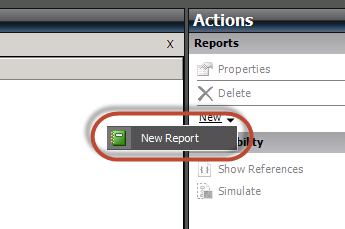 changing the font colour to pink ) or adjust the column width, or adding a company logo, you can click on “Design Report” button and modify the report. 22. Go to “Definition” tab, click “Load content from file” and select the RDL file you’ve just created. 27. 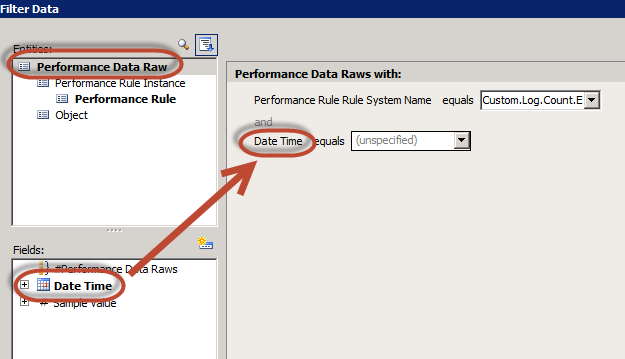 Now that the report is successfully created and tested, if you have changed the schedule of the perf collection rule (either edited the rule directly or created an override), it’s time to change the schedule back. 28. 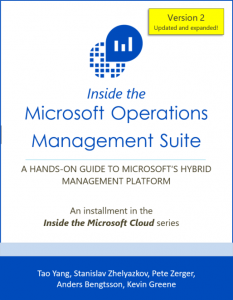 Now, if you want to keep the management pack unsealed, just export the updated management pack with the report into SCOM management group from authoring console. 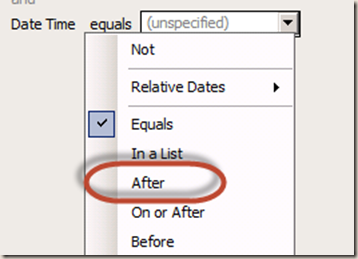 If you want to seal it, do so, and delete the previous unsealed version from the management group first, then import the sealed version into the management group. 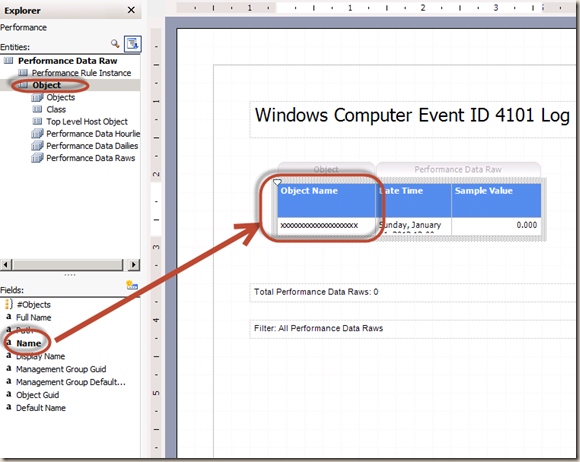 Note: In SSRS, you should also see a .mp file in the same folder. I’ve experienced issues where the report does not get updated with the updated MP, which was caused by incorrect .mp file in SSRS directory. Please refer to my previous post for details. 30. 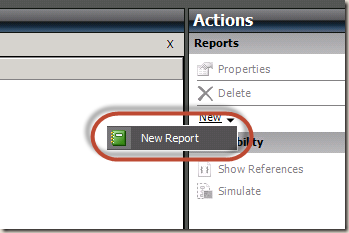 Schedule the report in SCOM reporting (so it can be emailed out according to a schedule) if you want to. 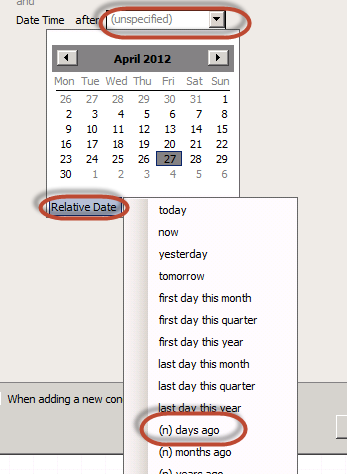 make sure the report schedule is AFTER the rule schedule time (i.e. 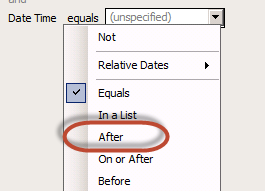 if the rule runs daily at 0:00am, the report schedule should be something like daily at 0:30am) otherwise newly collected data is not included in the report. In my case, for the second scenario I mentioned in the beginning (reading log files), the whole process and idea is the same. 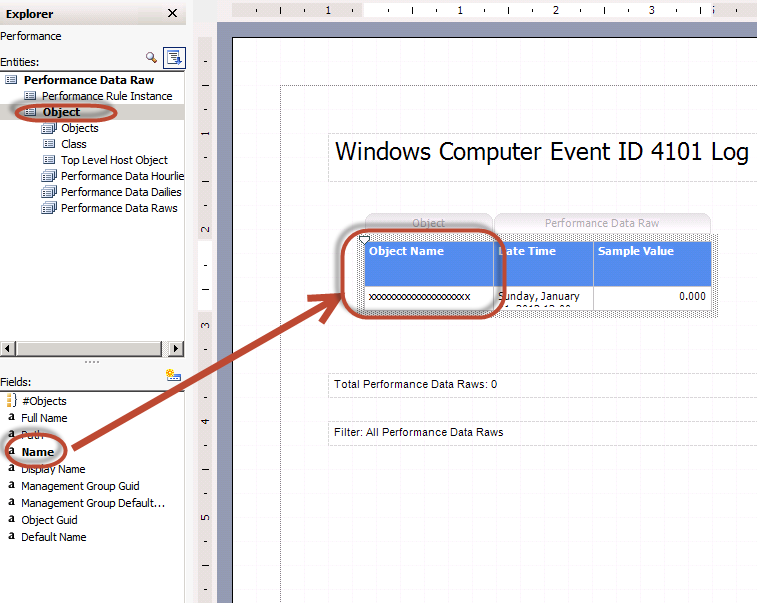 The only thing different is the script in the Data Source module. 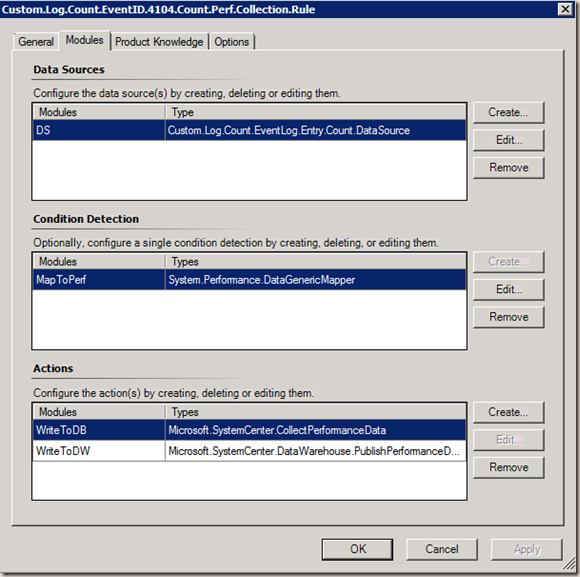 I could have moved the condition detection module (System.Performance.DataGenericMapper) from the rule to the data source module. I didn’t do it because then I can use the same data source module for other purposes later. For example, if later on, the support team comes to me and ask me to generate alerts once the count reaches a threshold, I can simply create a separate rule (or a custom monitor type and a monitor), using the same data source. 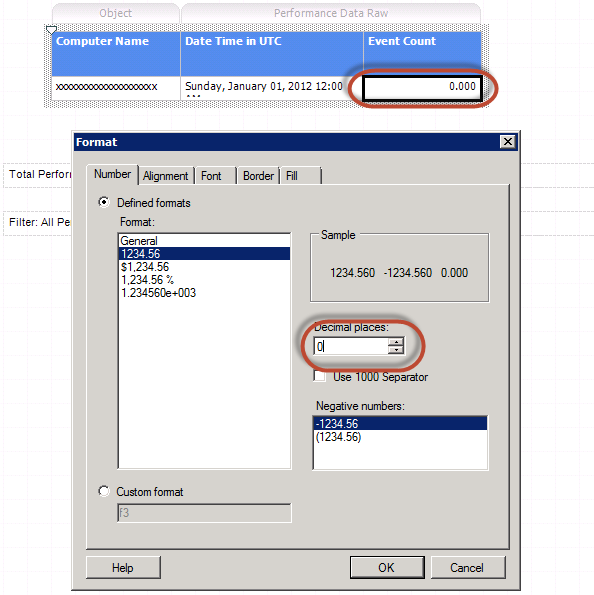 If the input parameters of the data source is the same as the existing performance collection rule, the data source should only run once for multiple workflows because of the Cookdown feature. 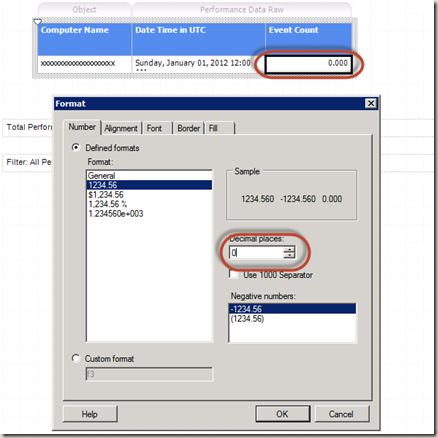 If the SCOM agent computer is in maintenance mode when the perf collection rule is scheduled to run, no perf data will be collected and the computer will be missing from the report. In my example, I’m using a PowerShell script. 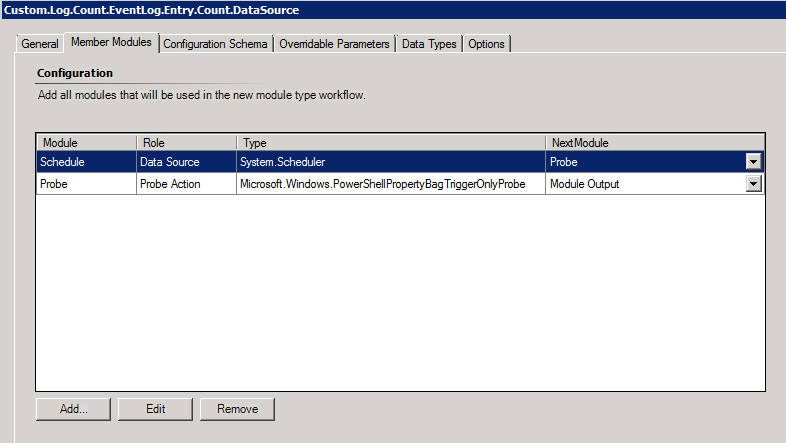 So PowerShell and it’s execution policy needs to be installed / enabled on the SCOM agent computers. 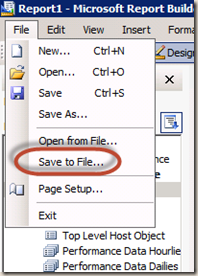 if this doesn’t meet your requirement, just modify the module to use a VBscript instead. 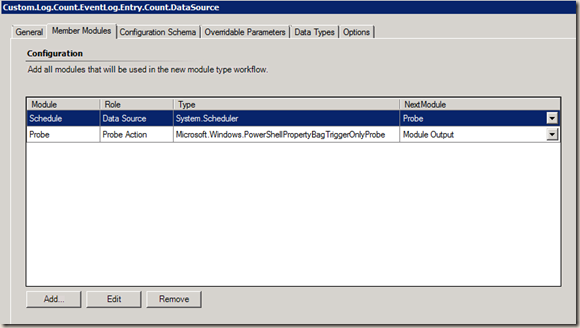 I’ve blogged previously on how to create trigger only probe action modules for VBScript. 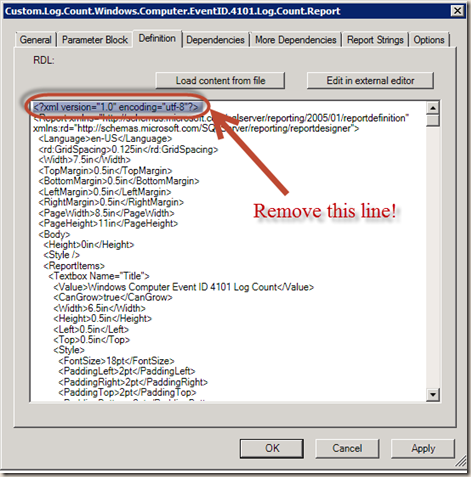 Again, the sample MP and the Report Definition RDL file can be downloaded HERE.